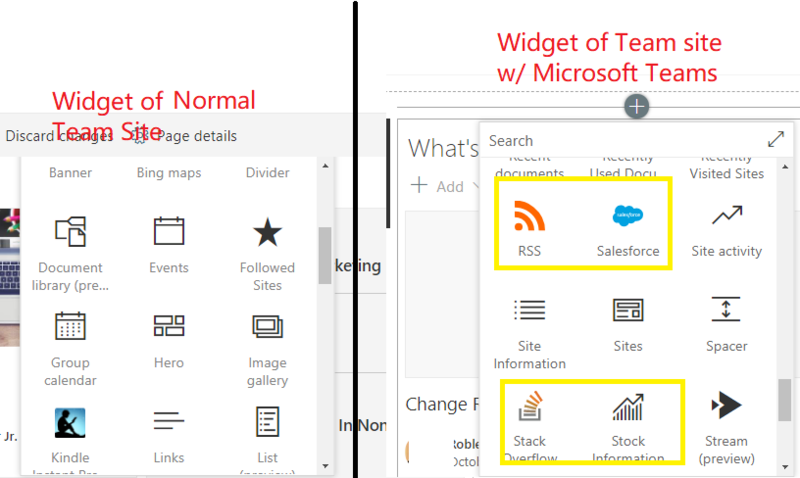 Why SharePoint Site created in Microsoft Teams has more widgets/web parts in Modern Experience? How we can add this to a normal communication/team site. These "extra" webparts are called as connector webparts and are only available in O365 group connected Modern team sites. They are not available in Communication sites or Modern Team site ( STS#3) template. You can upvote on this UserVoice - Office 365 Connectors web part in Communication Sites request. Microsoft teams in a SharePoint modern page?